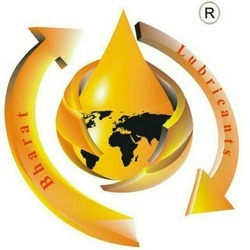 Established in the year 1984, we, Bharat Lubricants, are an eminent manufacturer and supplier of an extensive array of lubricants or automobile oils. Assuring the clients of better functioning of their vehicles, these lubricants adhere to the Indian standards of quality. Our range includes engine oil, 2T oil, grease, hydraulic oil and gear oil.Located in Surat, we begin our venture on a small scale basis under the guidance of Mr. Satish Kumar Gupta. Over the past 23 years, we have progressed rapidly to establish our presence in the domestic arena. Through our proper understanding of the automobile market, we started manufacturing various lubricants that smoothen the functioning of different automobile engines and other parts. Growing on the important pillars of consistent quality products, efficient services and 100% customer satisfaction to our clients, we have proved our mettle in the automobile oil industry. The proprietor of our firm, Mr. Rahul Kumar Gupta (C.E.O & Managing Director) is a man of vision. Under his able leadership and guidance, we have come a long way in establishing ourselves as a trusted name, globally. Manufacturing and Trading of Grease and Lubricating Oil. COMMITTED TO WORK FOR BETTER TOMORROW. BHARAT LUBRICANTS WILL STAND ITS NAME IN TOP COMPANIES OF THE WORLD. BHARAT WILL BE A HUGE GROUP OF COMPANIES FROM WHERE WORLD CLASS LEADERS WILL BE GENERATED. WE WILL HAVE VERY WELL ORGANIZED OFFICES IN EVERY STATES OF INDIA AS WELL IN EVERY COUNTRY OF THE WORLD. WE WILL ISSUE OUR IPO ( INITIAL PUBLIC OFFERING) BY 2025. WE WILL BE NOT ONLY KNOWN AS OIL COMPANY BUT ALSO KNOWN AS MOTOR CAR AND MOTOR BIKE MANUFACTURING. WE WILL BE A GREAT PLACE TO WORK.PEOPLE WILL DREAM TO WORK WITH US. To ensure that we successfully manufacture a wide gamut of lubricating oils, we have a well established production unit. Our manufacturing unit is built in an area of 1000 sq mtr. We also have a wide variety of machines and equipment installed at our unit. Our blending plants has varied latest equipment and sophisticated technology that enables us to meet the varied bulk requirements of our clients in India. We ensure that only best quality lubricants and automobile oils pass through our brand name. A lot of emphasis is given on the quality of the products. Our products are made using high quality base oils and different performance enhancing additives. Our quality managers and automobile experts ensure that this blend is prepared in proper proportion to facilitate the hindrance free functioning of the vehicles. The first to last stage of manufacturing process, we stringently monitor all the processes so as to give the best kinds of engine oils, 2T Oil, grease, hydraulic oil and pump oil. Constantly engaged in sheer hard work and techniques to improve the production processes. We have a pool of engineers and automobile oil manufacturing experts who come up with different kinds of lubricants or automobile oils. All our processes are carried out under the able guidance, supervision and support of our directors who are Mr. Satish Kumar Gupta and Mr. Rahul Kumar Gupta. They regularly incorporate various new production techniques and strive to meet the increasing requirements of our clients in India. The other members of our team comprise of marketing managers, packaging experts, R & D professionals and production controllers. We manufacture and offer a wide range of lubricants and oils that is used in different automobiles. These lubricants assure the clients of a hassle free functioning of the vehicles. We design and manufacture a wide range of oils and lubricants that is used in different kinds of the two wheeler, three wheeler and four wheelers. Our lubricants are have some superior features that include help in keeping the moving parts apart, reducing friction, transfer of heat, providing protection against wear & tear. These lubricants and automobile oils are also useful in preventing corrosion and ensuring smooth as well as trouble free performance for a longer period of time. We have established our presence in the industry of automobile oils in the domestic platform. Through our wide gamut of lubricants for automotive, we are on the constant move to present ourselves on the global map. Our engine oils and other lubricants have earned accolades from our clients and this appreciation is motivating us to spread our wings into the international petroleum and oil industry. Through our extensive range of lubricants or automobile oils, we have satisfied the varied needs of our clients in the automobile industry. The cost effective rates and customized packaging of these oils gives us an edge over the other manufacturers in the domestic arena. 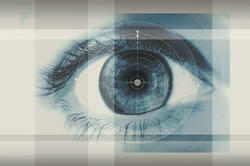 We are always ready to incorporate the suggestions of our clients and accordingly upgrade our product range. The varied bulk requirements can be delivered to our clients in a short span of time. These abilities have enabled us to fetch a wider market place in India.